11 oz. 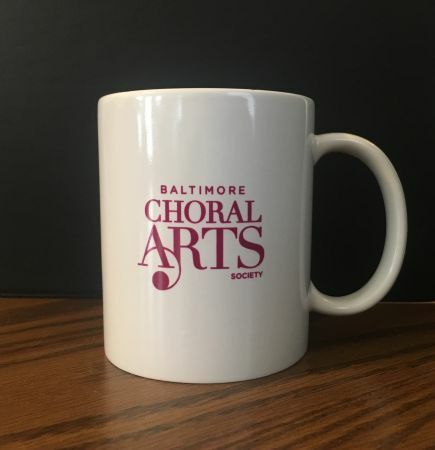 ceramic mugs featuring the new Choral Arts logo. These mugs are microwave and top rack dishwasher safe. 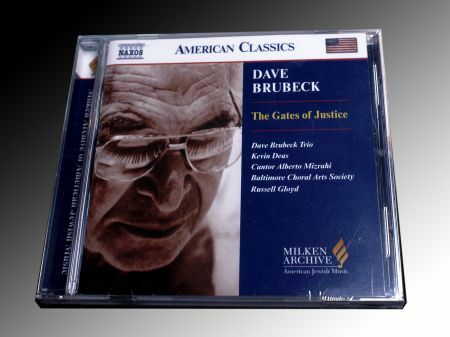 NOTE: This item only available for pick-up at the Baltimore Choral Arts Office or at concerts. A celebration of the holiday season with Tom Hall conducting the Chorus and Orchestra in festive favorites and the premiere of several new works. 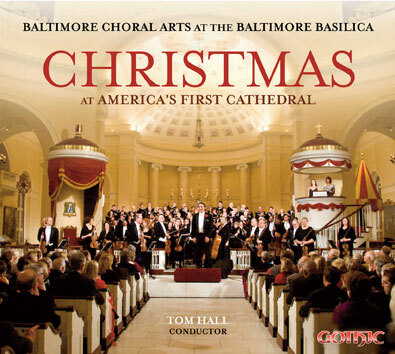 Recorded at the beautiful Baltimore Basilica, this CD package also includes a bonus DVD featuring performances from the holiday concert. 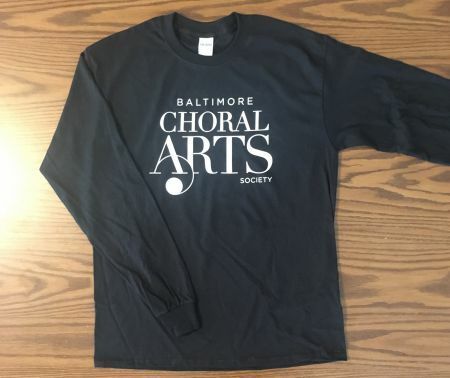 Specially designed, 100% cotton long-sleeved shirts emblazoned with the new Choral Arts logo. 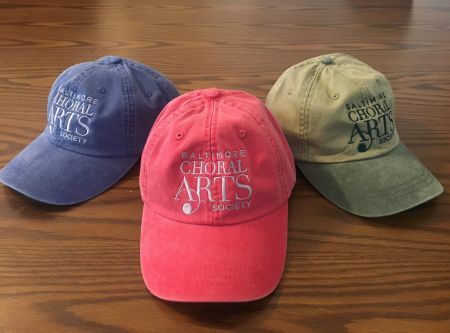 Low-profile, 100% cotton twill cap with the new Choral Arts logo embroidered on the center. This item is available in Denim Blue, Nautical Red, and Khaki/Forest Green. 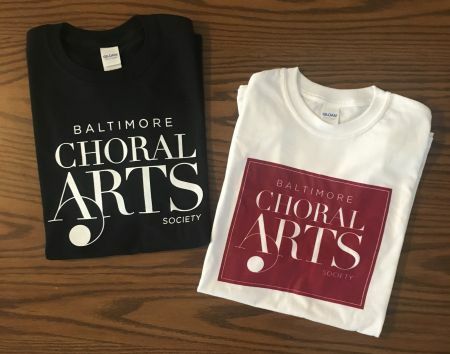 Specially designed, 100% cotton t-shirts emblazoned with the new Choral Arts logo. Select from black or white short-sleeved t-shirts. A two-toned, zippered tote bag. 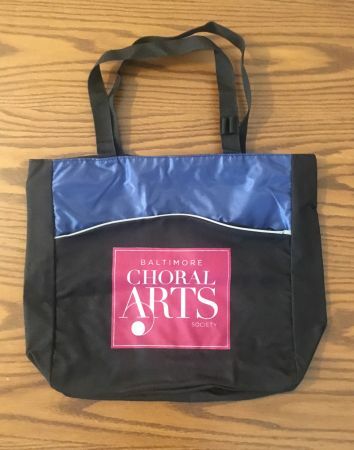 This bag features a curved exterior zippered pocket, webbing handles with pen holders, and the new Choral Arts logo.